Welcome to the Santa Ynez Valley Marriott. Our certified green hotel provides a wonderful location for leisure travelers, corporate, and military. Conveniently located 30 minutes north of Santa Barbara and 3 miles from Solvang, the Danish Capital of America. 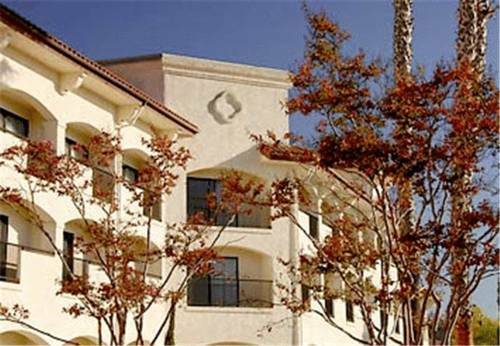 The Marriott is in the heart of Santa Barbara Wine Country that is famous for its 80 vineyards and wineries, cycling, golf courses and Vandenberg Air Force Base. Our newly reinvented lobby features functional seating, state of-the-art technology and innovative food and beverage concepts. If you're looking for a perfect venue for your next event the Santa Ynez Valley Marriott can take care of all the details. Starting Gate Restaurant: Visit the Starting Gate Restaurant for casual american dining open for breakfast. Dining available inside or al fresco on our patio. 555 Lounge & Bar: Drop by in the morning for Starbucks and a pastry. The perfect gathering spot after your day afield to indulge in a glass of wine or a local brew and a selection from our 5 10 20 menu with unique offerings ready in 5, 10 or 20 minutes.